By Vanessa Racine, Co-Chair of the Indigenous Students Alliance and as a Varsity Rugby Athlete. Indigenous students are not against McGill Athletics. 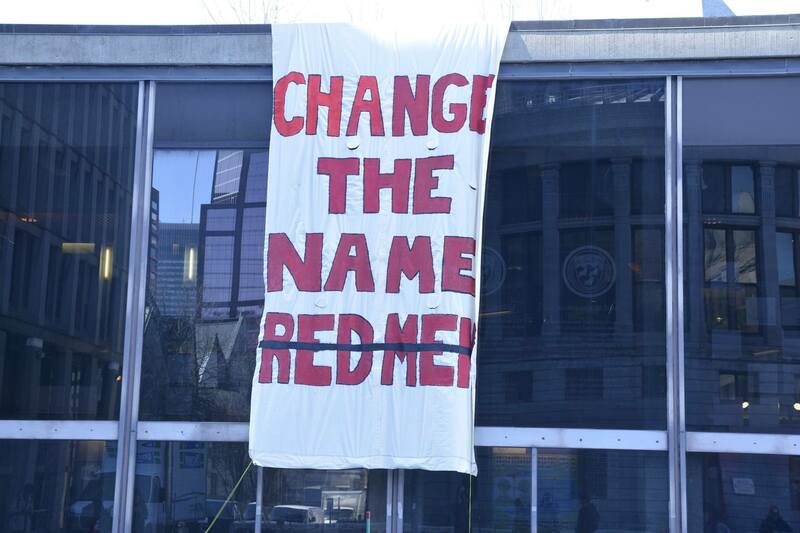 We are against the fact that the R*dmen name continues to be used and that SSMU, as well as McGill Athletics, are continuing to ignore and silence Indigenous voices. Putting forth this question about the Athletics fee in the Winter Referendum is wrong. This question should not be proposed during the Change the Name campaign. The Change the Name campaign and the Fee to Improve Athletics campaign are related to each other, despite the push to keep them separate. Of course the facilities need to be improved. Improving our facilities will directly improve Athletics as a whole at McGill by giving both varsity and non-varsity athletes the resources to pursue their goals. However, it is not going to give Indigenous athletes the same kind of space that other athletes will have. Yes, McGill Athletics does not make the decision on whether or not the name is changed, but they do influence athletes and students on who they want to represent. Lately, it seems that McGill Athletics does not want to represent Indigenous athletes. Implementing the Fee to Improve Athletics without changing the name sends a message to Indigenous students that Athletics is proud to improve – just not with us. Saying that Change the Name and the Fee to Improve Athletics are separate is essentially positioning Indigenous students as the “other” on campus. Much of the arguments presented by the “yes” to Improve Athletics campaign involves the assumption that if the decision does not pass, then a large amount of funding will be cut. The closing of Memorial Pool. No more intramurals. No improvements to any of the gyms. The reality is that the upcoming 2019 Fall Referendum is still part of the fiscal year – that means that even if the vote is “no,” we will not see any facilities cease to operate in the upcoming semester. This fee is not once and for all. This fee is just being proposed at the wrong time and should be re-evaluated in the Fall. So why can’t we vote in the Fall? Why can’t we vote for this fee after McGill has properly responded to Change the Name? Voting “no” in the upcoming referendum is not saying that we should never improve the athletics facility. Voting “no” doesn’t mean that there will never be funding for athletes, nor that funding is going to be cut for athletes forever. Voting “no” doesn’t mean that we cannot put forth this question again in the Fall Referendum after McGill has responded to Change the Name.